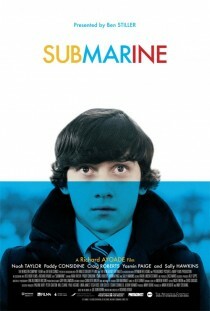 Filmed in Wales, the wonderful Submarine takes the familiar coming-of-age story and makes it original, funny, unpredictable and wholly satisfying. The young Craig Roberts and Yasmin Paige give great performances supported by a fine cast of seasoned actors. The film, written and directed by Richard Ayoade, is based on Joe Dunthorne’s comic novel. You can find more information on this English-language movie on Wikipedia and IMDb. The soundtrack is also amazing and complements the film beautifully.